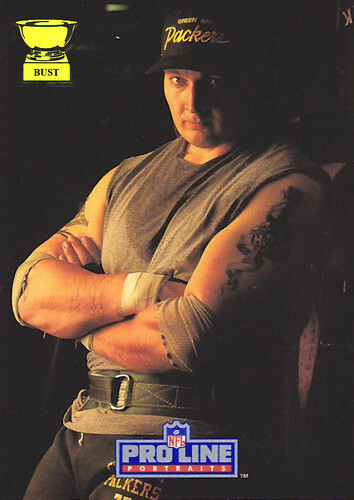 What's that tattoo on Mandarich's left arm? (A) It's a dagger with a sweaty, sleeveless shirt wrapped around it. (B) It's a sword with a ribbon cascading down, symbolizing the trajectory of a career that started when he was chosen No. 2 in a draft in which four of the first five picks were elected to the Hall of Fame. (C) It's, ahem, a syringe symbolizing, well, you know, c'mon. (D) It's a 1980s-era homage to Guns 'n Roses.